Budget Secretary Florencio "Butch" Abad said Thursday that the participation of the private sector is crucial in ensuring genuine and sustainable reform and delivering social services. “Because we know that certain vested interests out there will not want us to succeed, we need to tap and empower the broadest possible spectrum of stakeholders in our society,” he said. Abad added that the government has already introduced PPPs for social service infrastructure. “Similarly, we are also looking at similar partnerships for public administration and service delivery, including the bulk tender of overhead expenses of national government: gasoline, air transport, telecommunication, insurance, among others,” he said. 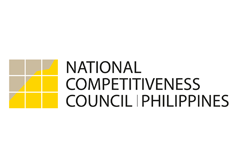 In a separate interview, National Competitiveness Council (NCC) Private Sector Co-Chairman Guillermo M. Luz admitted that the government “took longer than expected” to prepare and bid out projects under the PPP, but added that the process has now been “streamlined” and should pick up speed. “The government has already bid out Daang Hari-SLEX [South Luzon Expressway], and the School Infrastructure Project. This is a clear indicator that PPP is gaining its momentum,” he told GMA News Online in a phone interview Thursday. “The next School Infrastructure Project should be easier since we’ve already done it. Uulitin na lang,” he said. The government's Public-Private Partnership Center has listed Ayala Corporation as the contractor for the Daang-Hari-SLEX Link Project. The bidding process for the School Infrastructure Project, which aims to build 9,300 classrooms in Regions I, III, and IV-A, has also concluded, and the contract is scheduled to be awarded soon. Two other projects are ready for bidding: the LRT Line 1 Cavite Extension and Operation and Maintenance, or the LRT 1 South Extension; and the NAIA Expressway Project. The LRT 1 South Extension is expected to increase LRT coverage by 11.7 km, and connect Baclaran to Bacoor, Cavite. The NAIA Expressway Project is expected to connect NAIA Terminals I, II, and III to major thoroughfares like the Skyway and the Manila-Cavite Toll Expressway. Three projects are currently securing government approvals: the Modernization of the Philippine Orthopedic Center (MPOC), the Vaccine Self-Sufficiency Project Phase II (VSSPII), and the CALA Expressway (Cavite and Laguna Side). Fifteen projects in the transportation, agri-fisheries, agriculture, education, health, heritage restoration and water supply sectors are at various early stages, ranging from finalization of project structure to procurement of technical assistance.